Engineers performing fatigue life predictions using FE-derived stresses. This course provides an introduction to practical application of fatigue analysis (high cycle fatigue) through presentations on modern analysis methods, examples and exercises. 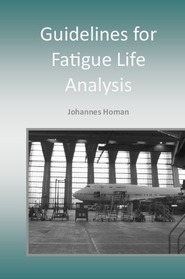 A part of the course is dedicated to fatigue analysis using FEM. Global stresses (stress concentration factors) vs. local stresses. Fatigue properties of materials (fatigue limits, S-N curves, fatigue diagrams). Effect of surface condition, surface treatment and corrosion. Damage accumulation (fatigue under variable amplitude loading). Meshing for fatigue; convergence study. Post-processing; extrapolation, Gaussian points; principal stresses. How to model a welded joint? Linear vs. non-linear; hot-spot stresses. Identification and interpretation of fatigue critical locations. Fatec Engineering offers the possibility to give this course at your company. For more information and/or an offer please contact us.